Our product range includes a wide range of pioglitazone tablet, amaryl, vildagliptin tablet, teneligliptin 20mg tablet, dapagliflozin tablet and trajenta. Over the years, we have gained immense credibility across international markets in offering Pioglitazone Tablet.At vendor’s end, offered tablets are processed using the latest quality chemical compounds and modern technology in sync with industry norms. Our provided tablets are tested on predefined parameters so as to ensure their quality and high purity. Apart from this, clients can avail these tablets from us in various packaging options. 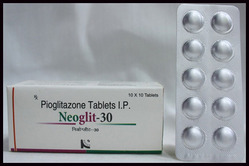 - Pioglitazone is a oral anti diabetic agent. 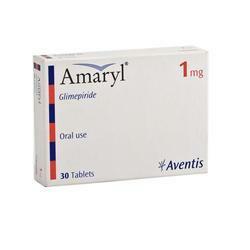 Amaryl contains Glimepiride is used to lower the blood sugar levels in type 2 diabetes mellitus when diet, physical exercise and weight reduction alone are not adequate. We hold specialization in Exporting and Trading wide range of Pharmaceutical formulations.With our expertise in this industry, We are able to offer superior range of Vildagliptin Tablets. At vendor’s end, offered tablets are processed using the latest quality chemical compounds and modern technology in sync with industry norms. Our provided tablets are tested on predefined parameters so as to ensure their quality and high purity. Apart from this, clients can avail these tablets from us in various packaging options.Galvus,Galvus Met, Vildagliptin. - Vildagliptin is a new oral antidiabetic agent that enhances pancreatic islet cell responsiveness to glucose. - 50mg plain tablets and also available in combination with Metformin. 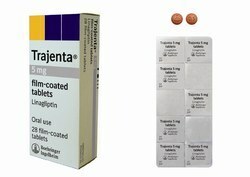 Teneligliptin tablets are indicated as an adjunct to diet and exercise to improve glycemic control in adults with type 2 diabetes mellitus(T2DM). 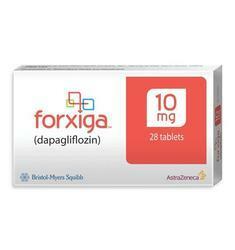 Dapagliflozin is used alone or in combination in adults for the treatment of type II diabetes. Dapagliflozin belongs to a class of medications called sodium-glucose co-transporter 2 (SGLT2) inhibitors. It works by blocking the action of the SGLT2 receptors present in the kidneys thereby decreasing the reabsorption of glucose from urine to blood and increasing its excretion through urine resulting in lowering of the blood glucose level. 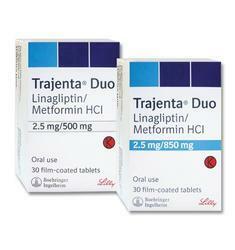 Linagliptin is used alone or in combination with other drugs to treat type 2 diabetes mellitus. We hold specialization in Exporting and Trading wide range of Pharmaceutical formulations.With our expertise in this industry, We are able to offer superior range of Acarbose Tablets. At vendor’s end, offered tablets are processed using the latest quality chemical compounds and modern technology in sync with industry norms. Our provided tablets are tested on predefined parameters so as to ensure their quality and high purity. Apart from this, clients can avail these tablets from us in various packaging options. - Acarbose is a new oral antidiabetic agent that enhances pancreatic islet cell responsiveness to glucose. 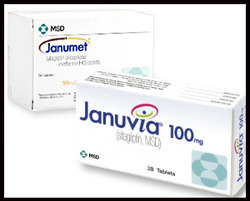 Saxagliptin is used to treat type-2 diabetes mellitus (T2DM) not controlled by diet and exercise alone and in whom metformin cannot be given due to contradiction or intolerance. If diabetes is not adequately controlled by insulin or other oral antidiabetic medicines (metformin, thiazolidinedione or sulphonylurea) or their combination, then saxagliptin can be used in a dual or triple medicine combination. 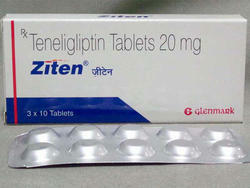 Teneligliptin is used as a monotherapy, in addition to diet and exercise, to reduce high blood sugar levels in patients with type 2 diabetes mellitus. 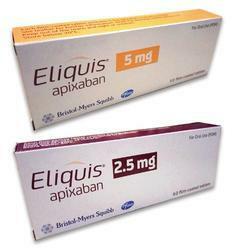 Apixaban is used to prevent formation of blood clots in arteries and veins (deep vein thrombosis) of patients who have undergone lower limb surgery, or have heart disease or risk factors for stroke (previous stroke or mini-stroke, hypertension, diabetes, heart failure) or have recurrent clots in blood vessels of lung (pulmonary embolism). Over the years, we have gained immense credibility across international markets in offering Glibenclamide Tablet.At vendor’s end, offered tablets are processed using the latest quality chemical compounds and modern technology in sync with industry norms. Our provided tablets are tested on predefined parameters so as to ensure their quality and high purity. Apart from this, clients can avail these tablets from us in various packaging options. 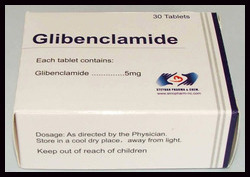 - Glibenclamide is a oral antidiabetic agent. Sitagliptin is used with a proper diet and exercise program and possibly with othermedications to control high blood sugar. It is used in people with type 2 diabetes. Controlling high blood sugar helps prevent kidney damage, blindness, nerve problems, loss of limbs, and function problems. Proper control of diabetes may also lessen your risk of a heart attack or stroke. Sitagliptin is an anti-diabetic drug that works by increasing levels of natural substances called incretins. Incretins help to control blood sugar by increasing insulinrelease, especially after a meal. They also decrease the amount of sugar your livermakes. 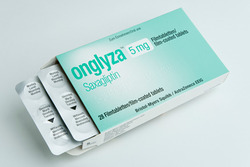 Sitagliptin is available as plain tablet and in combination with metformin. Over the years, we have gained immense credibility across international markets in offering Metformin hcl Tablet.At vendor’s end, offered tablets are processed using the latest quality chemical compounds and modern technology in sync with industry norms. Our provided tablets are tested on predefined parameters so as to ensure their quality and high purity. Apart from this, clients can avail these tablets from us in various packaging options. 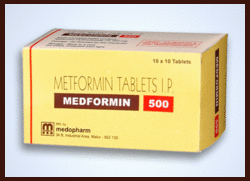 - Metformin is a oral antidiabetic agent.